As some of you know, I have a little book of art pictures and quotes that I periodically use for meditation. 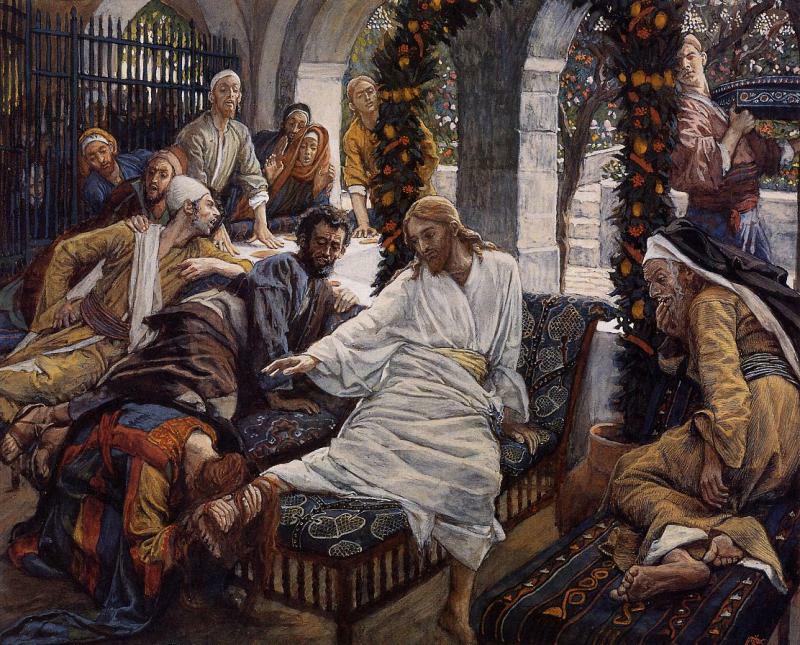 I have been pondering the picture below of the sinful woman anointing Jesus’ feet (James Tissot). And below it is a beautiful quote from John Chrysostom describing the love of God for us, each of whom is indeed the sinful woman. May the Holy Spirit, the love of Christ that has been poured out into our hearts, bring us more and more to this point.